Jeb was mighty pleased that his hand-hewn shelter had survived the twister, and he wouldn’t miss the sliding barn doors one bit. Muriel, on the other hand, was still giving him the silent treatment over not securing her set of French iron patio furniture. 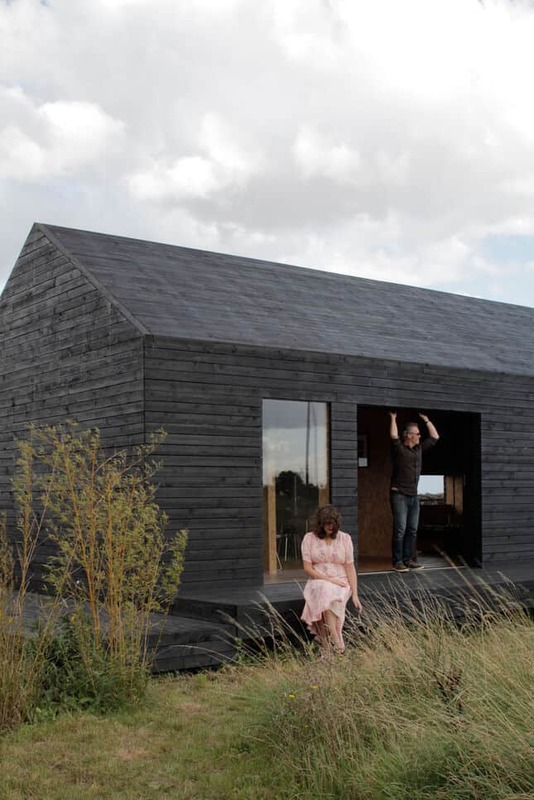 When I first saw the sight above, all I could say was “Wow.” As a truly amazing example of what a wooden home can be, the house above stands black and proudly backed by its owners. Creating quite a contrast among the sparse greenery of this outdoor area, this hipster home with its door-size glass windows and massive entrance space secured by sliding door, is striking to say the least. The dark, weathered appearance of the brick foundation in combination with the varying degrees of charcoal present in the texture of the wood, creates a modern, upbeat home which is truly elegant. One can just make out that this home is not surrounded by anything close, which leaves the imagination wide open to what this surreal sight must look like from a distance. You can also make out that the owner has continued with his preference for wood, as seen from the dividing walls inside, and the threshold seen through the door-sized glass panel. This is definitely a hipster home, even the subtle scene of stainless steel chairs from within the window gives it away, but who could doubt it after looking at the single-color splendor of this strangely attractive home.